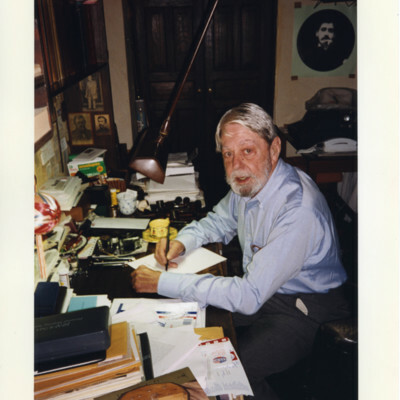 Lamb, Brian, 1941-, “Shelby Foote.,” One Book. One Author. One Hour., accessed April 24, 2019, http://booknotes.gmu.edu/items/show/2898. 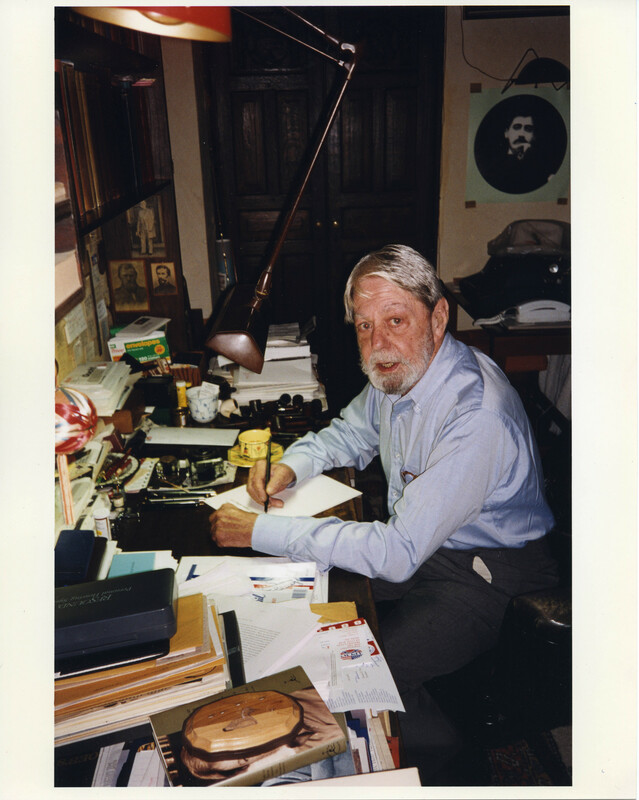 Eighty-year-old Shelby Foote at work in his Memphis home. In the upper right corner of first two photos is a portrait of Marcel Proust. "While I was taking this photo," wrote Brian Lamb, "Mr. Foote told me he has read all of Proust's works nine times."